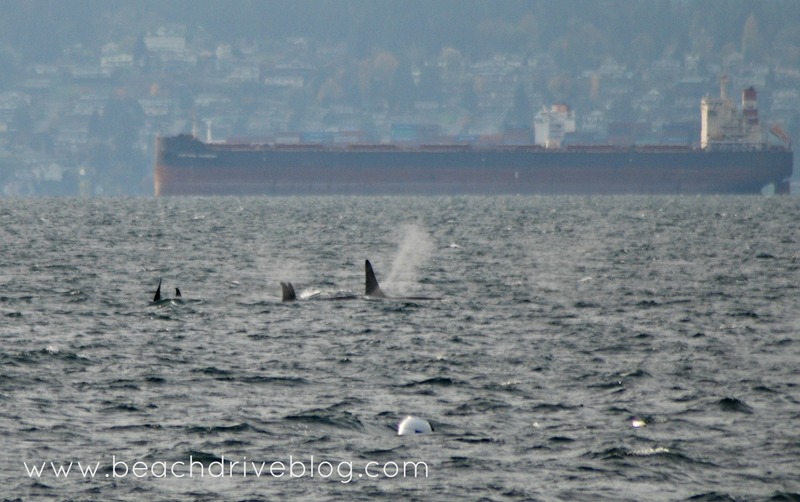 What a treat to be able to watch Orcas from your back yard! I don’t recall ever seeing them this close to the shore. 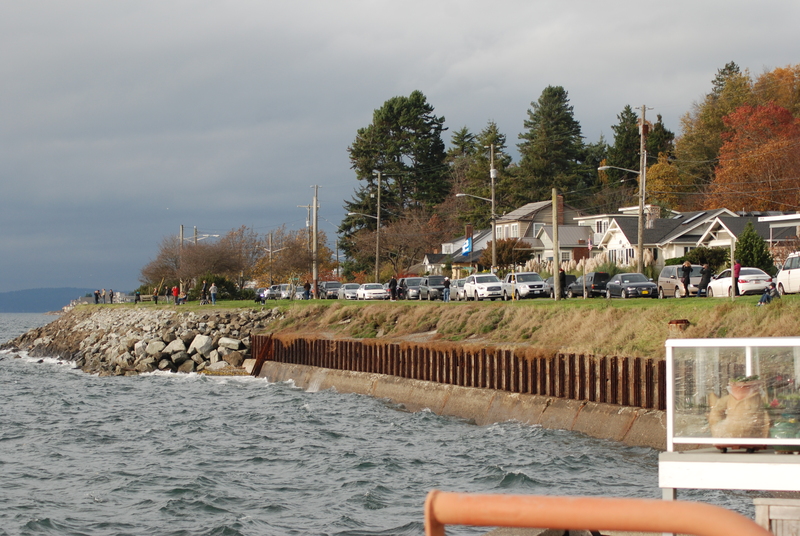 It was a real show stopper this afternoon at Emma Schmitz View Point as cars and people lined Beach Drive to catch a view of the whales. 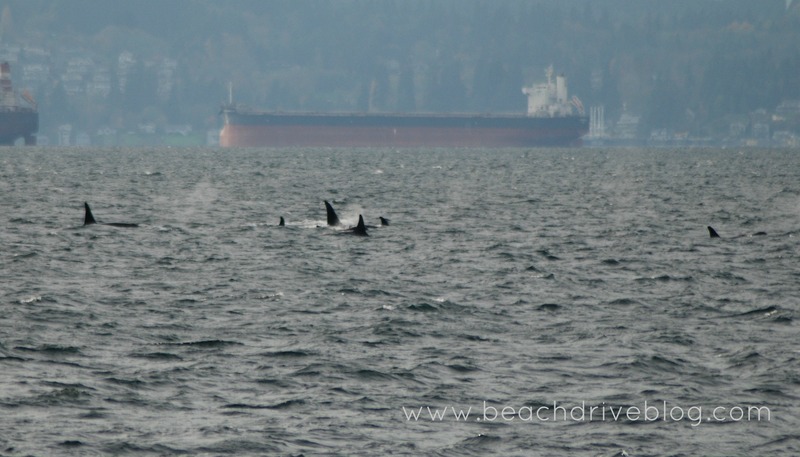 We spied whales heading south between Blake Island and Lincoln Park. Two lucky boaters got an extra close up view.